When it comes to gardening, few of you might think of fish plants as an option to do. However, it actually exists and you can do so as well! Preparing plants for display inside of a fish tank can add a wonderful, attractive atmosphere to the whole place, which can not only benefit you, but also your fish. 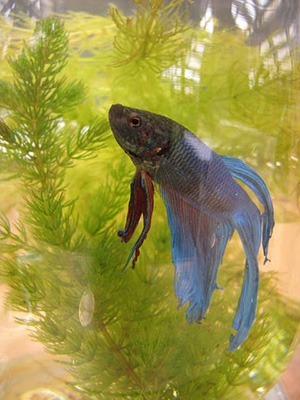 More specifically, you can find live plants for betta fish, which are a particular type of fish that are distinctive in their colorful, flowery fins that make them look as if they are wearing a dress. In other words, they are very elegant ones to have inside of your fish tank at home. Now, for adding live plants into the betta fish tank, you need to know that not all of them are appropriate to grow underneath the water, nor are they necessarily appropriate for betta fish to co-inhabit with. Hence, it is necessary that you do your research beforehand to figure out which plants work or not for purchasing and including in the betta fish tank. 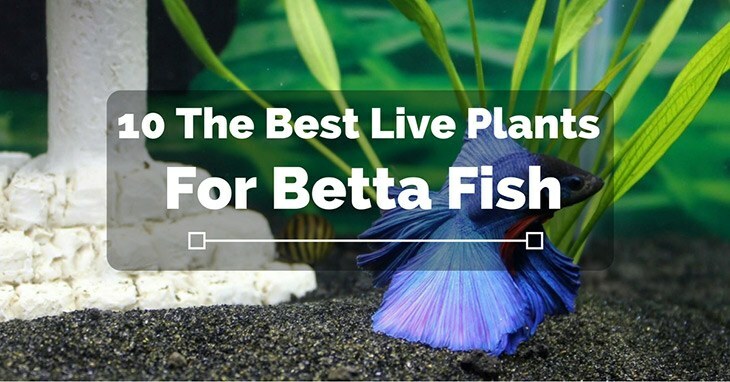 Here in this article, we are here to help you find the best live plants for betta fish to live with. We will list our top ten favorite ones, along with their properties and how to care for them. Pretty soon, you can get started creating the most beautiful betta fish tank for guests and family members to admire, as well as yourself. With that all said, let’s get right down to it! Consisting of long stems and broad leaves, the amazon sword has an eye-catching green color that will no doubt make your betta fish tank look absolutely lively. The best temperatures to keep it at are between 75 and 82°F. The amazon sword grows the best in deep substrate with low to mid-lighting as means of maintaining it. You do not need to fertilize it much, as long as the water is kept at a good temperature. In the end, it is a low-maintenance job with the amazon sword. Just like with the amazon sword, the anubias is vibrantly green and broadly shaped. Its flowy structure also gives a mysterious look to it, especially when paired in low lighting (under which it grows the best). The anubias’ shape ranges from tall and thin to short and flat, so it is up to you to decide just which kind you would like to see grown inside your tank. Fertilization can be kept to a minimum and the ideal temperatures to grow them at are around 71 to 81°F. This distinctive-looking tank plant has a long, narrow stem, along which small, curly leaves grow from it. What makes the anacharis even more special is that it has a utile quality to it, for it can clean up ammonia that might accumulate in the tank, thereby preventing any living species (including the betta fish) from getting sick. The anacharis propagates rapidly and tends to shed a lot of stems when it dies, so cleaning out the tank often is a necessary chore to do. 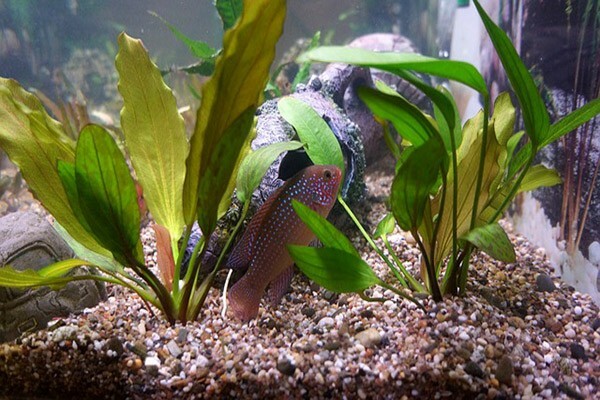 Now, this plant is considered the most popular one to grow in betta fish tanks, just because it is often paired with other plants to begin with. Duckweed grows in temperatures around 56 to 85°F, which is a fairly-wide range compared with other betta fish plants out there. However, it can leach nutrients from the environment in order to grow, so fertilization is key here to maintaining the health of other plants inside. 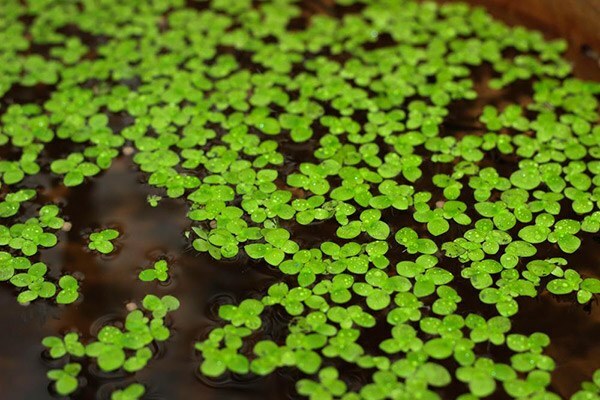 Duckweed also has the tendency to float to the top when propagating, so every so often you will to clean them out to prevent overcrowding and blockage of sunlight. 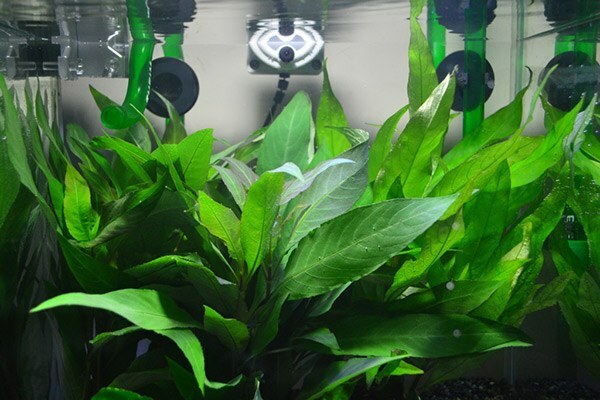 A common one to select for beginners, the giant hygrophila has a good propagating cycle that makes your investment worth it for your betta fish tank. It has sword-like leaves and can be grown in low light. 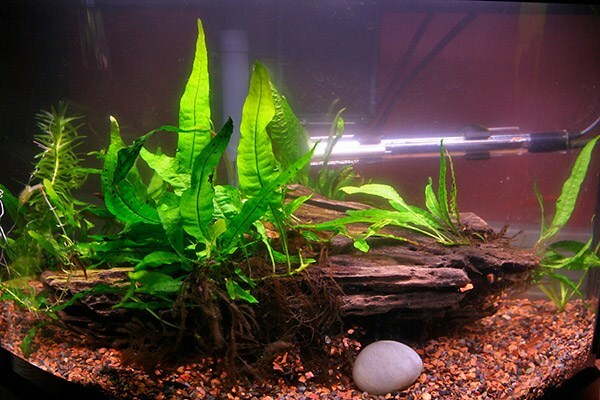 The giant hygrophila will need to be trimmed quite frequently, since it propagates quickly and too much of it can crowd the tank. The hornwort has got to be one of the prettiest betta fish plants out there, for its light, airy aesthetics gives off that sort of magical charm when placed inside of the tank. Even more so, it does an excellent job of getting rid of ammonia, so as to keep the environment healthy and thriving. The hornwort can prosper even in the most diverse temperatures, from 40 to 95°F. The thing is, you will need to clean out the tank often, for it sheds a lot of its nettles and it can be invasive if left to propagate for too long. With its unsmooth, almost leather-like texture, the java fern offers a unique look to your betta fish tank. Even better, it is a good beginner’s plant to start with, for it is low-maintenance without the need of fertilizer to grow. Low lighting and temperatures from 65 to 85°F are the way to go, and soon enough, your tank will have an attractive, rustic charm to it for the betta fish to enjoy, as well as for you and anyone else in your home. 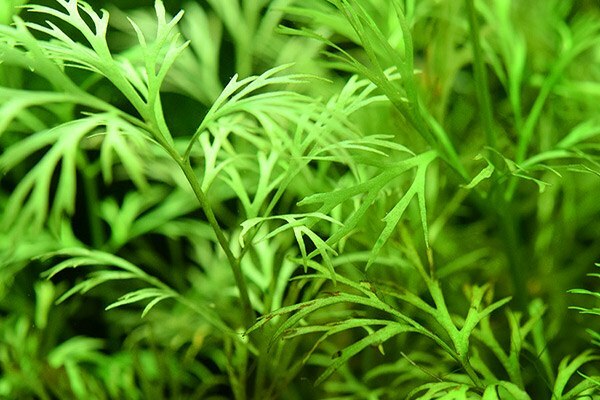 Despite its name, the java moss is not that similar-looking to the java fern. 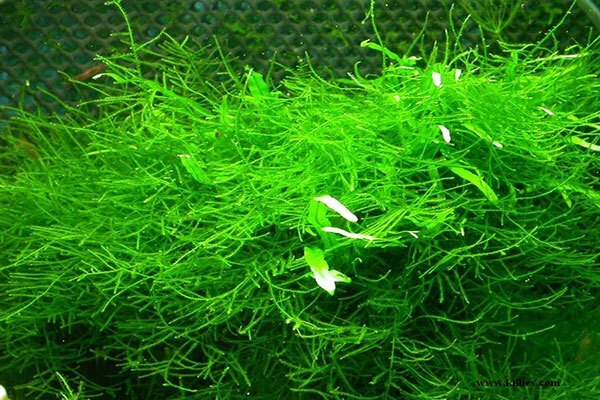 Instead, the java moss consists of a slender, algae-like structure that grows the best in low lighting. As a result, it has a mysterious appearance to it. Plus, it can be grown anywhere in the tank, attaching itself to rocks, bedding, and anything else that it comes in contact with (not the betta fish themselves, though!). Keep the tank at temperatures between 65 and 85°F, and make sure that you do not use hard water to grow it, for it can create problems with its maturation and final results. Feathery and light, the winter sprite floats and gives an elegant vibe to the inside of your betta fish tank. Just like with other underwater plants, it can remove ammonia for a clean and healthy water atmosphere. The winter sprite requires a bit more work to maintain compared with other plants out there, including a consistent temperature somewhere between 64 and 82°F, as well as stable pH levels and plenty of fertilization. Although there is a lot more work involved in the process, when done correctly the winter sprite will grow wonderfully and be an amazing addition to the betta fish tank. Finally, this soft and ethereal-looking plant is a pleasure to have among the pretty-looking betta fishes. Also called the “water wisteria,” this plant grows the best in low to medium lighting, and it requires fertilizer to keep it well-fed with nutrients. 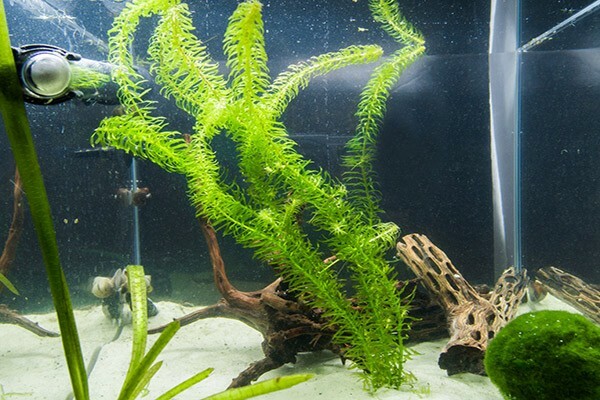 It grows fast and propagates a lot, so trimming its leaves and stems often will be beneficial to its health, as well as the other plants and fishes inside of the tank. While not a common plant to have, it nevertheless can be a beautiful addition to the underwater environment. 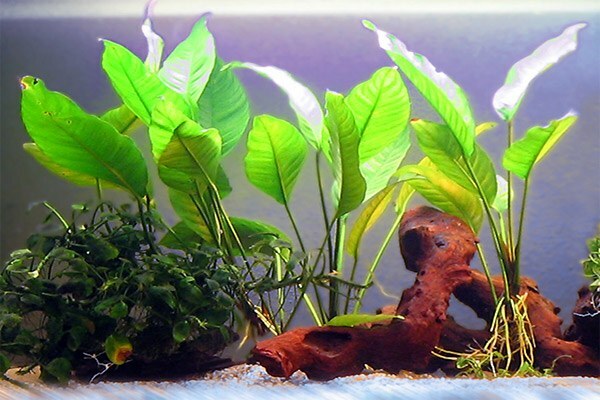 Altogether, you will be surprised to discover that there are so many different underwater plants out there to grow, especially when it comes to sprucing up the environment inside of your betta fish tank. From anubias to wisteria, they can make your tank look beautiful and all the while clean up potentially-harmful chemicals like ammonia- in other words, aesthetics and utility come together! These plants are certainly worth investing in, so we encourage you to give them a try today. With that said, it is time to get started now!